Historian Tom Holland chooses Aethelflaed, Lady of the Mercians. Matthew Parris presents. 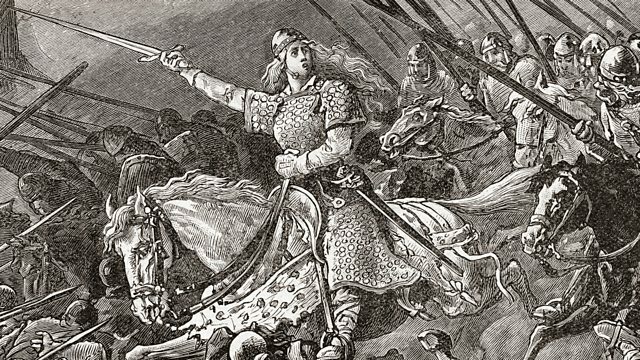 She's the most influential woman that English history forgot, says Tom Holland - Aethelflaed, Lady of the Mercians, daughter of Alfred the Great. Living and ruling at a time when the Anglo-Saxons were fighting back against the Vikings, Aethelflaed became a key figure in the construction of what we know today as England. But how much do we actually know? Joining Tom and Matthew Parris in the studio is Sarah Foot, the Regius Professor of Ecclesiastical history. Together they pick though the life of an astonishing character recently recreated in Bernard Cornwell's series The Last Kingdom and played by Millie Brady; and who also might have inspired Eowyn in Tolkien's The Lord of the Rings.